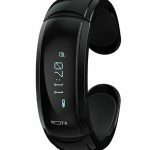 The MOTA G1 � or 1st generation � smartwatch was a band-style device with hands-free calling and notification features. 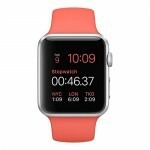 It can sync with Android and iOS phones via Bluetooth to receive alerts on the OLED display. As you�d expect, the MOTA G1 also includes a speaker and mic to take incoming calls. It has since been updated, and the newer MOTA G2 is readily available.